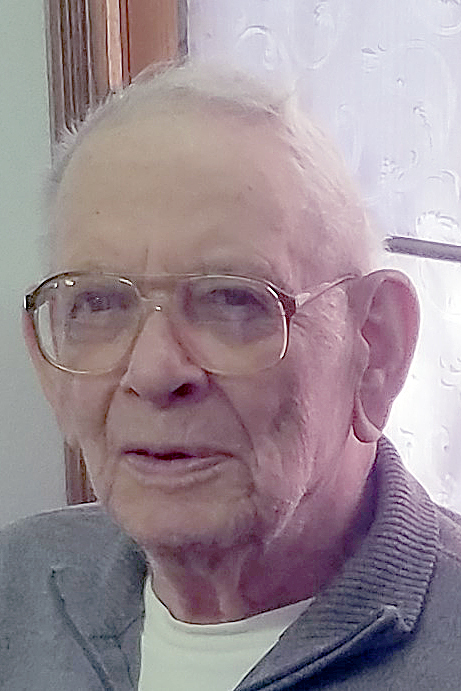 John F. Alexander, 90, Silverton, Idaho passed away on March 29th, 2019 at the Hospice Home in Hayden, Idaho. John was born August 14, 1928 in Webster City, Iowa to Austin Clayr and Telva Mae (Mattox) Alexander. He graduated from Webster City High School in 1946, served 2 years in the Navy, stationed in San Diego, then later attended Iowa State in Ames, Iowa. John fell in love with Wyoming while working summers with his brother-in-law and sister in Wyoming for the Forest Service in Centennial, Wyoming. He met Charlotte Ruth Tweed in Casper, Wyoming through mutual friends and were married at St. Mark’s Episcopal Church in Casper on November 29th, 1952. They moved to Webster City where he was employed in the family plumbing business. Two years later, they returned to Wyoming. John worked various jobs throughout his life, mainly in the mining industry: Utah Mining in Shirley Basin, Wyoming, American Colloid in Lovell, Wyoming and Belle Fourche, South Dakota and United Nuclear in Glenrock, Wyoming. He and Charlotte also owned and operated a hardware store in Lovell, Wyoming and a plumbing business in Sundance, Wyoming, They lived in the Aladdin and Sundance area. They retired to Casper, Wyoming in 1991. John then moved to Silverton, Idaho after Charlotte’s death, having been married for 59 years. John enjoyed many things, his garden, his pets, camping, fishing, tinkering, but most of all spending time with his family and grandchildren. John is survived by his sons, Clayr (Betty) of Big Timber, MT and Mullan, ID, Craig (Laurie) of Cheyenne, WY and daughter Beth (Mark Kingston) of Casco, ME. John had four grandchildren – Bryce (Daisy), Austin (Romey), Payson and Loren. He had four great grandchildren – Mia, Sior, Penny and Lilli. John was preceded in death by his wife, Charlotte, his parents, a son (Clark), a brother (Max), a grandson (Colby) and sisters Melvarose Knoll and Eleanor Greiner. Memorial services will be held at a later date at Oregon Trail State Veterans Cemetery in Casper, WY.